The Fulton box spring bed impresses with a combination of elegant design and the luxurious comfort of a 5-star hotel bed. 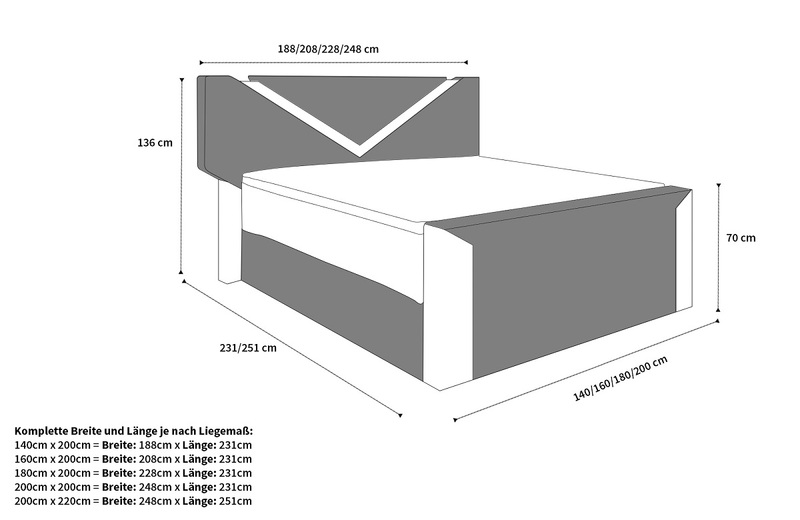 In addition, the bed has practical functions. For example, you can charge a mobile device with the help of the USB port while you make yourself comfortable on the bed. The LED lighting, which you can conveniently control via a remote control, provides a pleasant ambience.